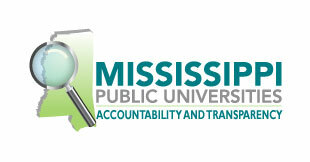 Students may have an opportunity to participate in part-time jobs or work-study programs while enrolled at MVSU. These opportunities allow students to earn extra cash, gain valuable work experience and networking opportunities. Students who have secured a campus job should complete and submit the following information to their immediate supervisor. The supervisor will review the packet for completion and forward to Human Resources before the student begins work. Federal Work-study (FWS) is a federally funded, need-based student work program awarded by Financial Aid. Interest in work-study must be indicated on the FAFSA each year in order to be considered for the award. Click below for more information. The Career Service Center is a great resource for students that are job searching. Some local employers and campus department post positions through Career Services and Human Resources. Career Services offers students a variety of career preparedness programs and services. WIOA is a program designed to help students finish school and find employment. Mississippi Valley State University is a training provider under WIOA and collaborates with the Mississippi WIN Job Center to assist students in applying for funding. Click below for mor information.